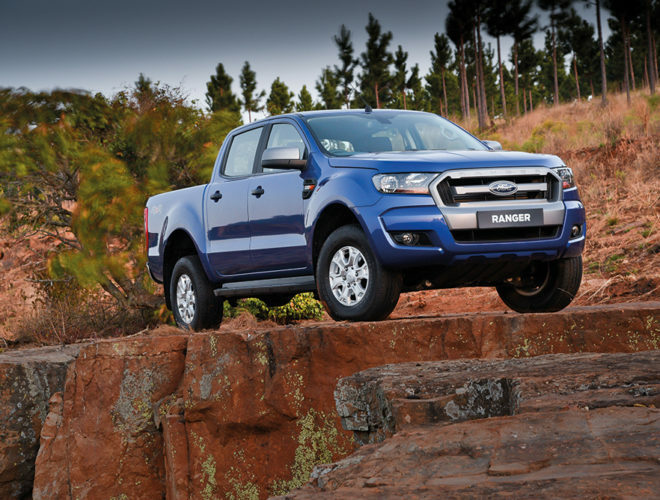 If you listen to all the chatter, you will know that bakkies are supposed to be the next big thing. Even the likes of Mercedes-Benz, Fiat, Renault and other manufacturers with no bakkie experience are getting in on the act. This, of course, is hardly news to South Africans, Australians and Americans, who’ve been using bakkies as leisure vehicles for years. But it seems Europe has woken up to the benefits of having a load-carrying monster that can double as a high-riding commuter. This dawning light should be very good for us down the line as we get ever-better renditions of the beloved load-lugger. Meanwhile, round the corner, it’s been a very local battle, the wrestling of the belt buckle a titanic fight between Toyota and Ford. Both make their bakkies here, both have fiercely loyal followers and both are determined to rule supreme. Toyota stole away the crown with the introduction of the all-new Hilux – but then the Ranger grappled it back with some very enticing special offers and a clever visual upgrade from dealers that made a whole bunch of ordinary Rangers look mean, cool and Wildtrak wicked. Not content to leave it to the colonies, Ford HQ recently introduced an automatic gearbox into the popular 2.2-engine range. It is now the only producer in SA selling a single-cab bakkie with an auto gearbox. Nice one, Ford. Well spotted. But we decided to put the double-cab 2.2 TDCi through its paces. 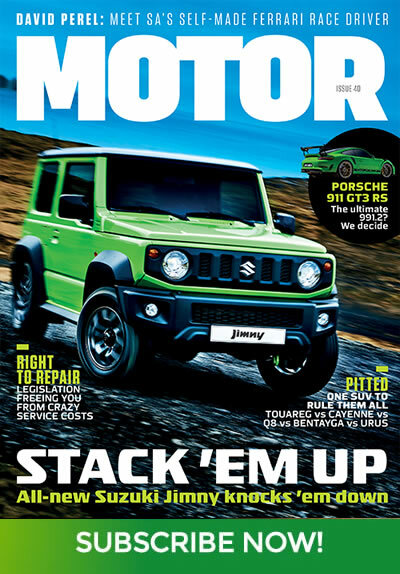 After all, most South Africans choose the four-seater for its versatility and added ride height. 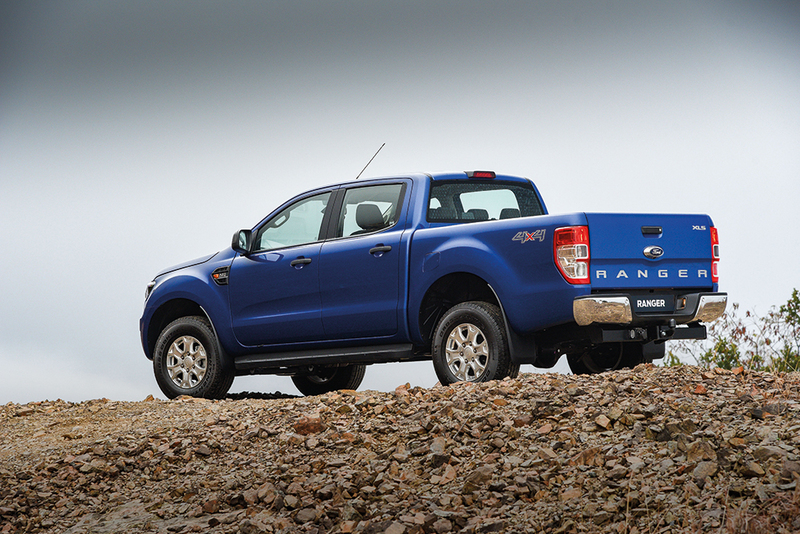 The new auto 2.2 range is nine strong, and ours was the cheapest way to buy a double-cab Ranger with 4×4 capability. You will pay R438 900 for the 2.2 TDCi double-cab XL, and it’s missing some bits, but hey, this is a bakkie, toughen up, stop crying, says them. It’s lacking a brace of airbags (the XL has only two, whereas the XLS and XLT have six and eight, respectively), alloys, Ford’s interior SYNC2 infotainment (it even gets a radio; remember those? ), cruise control and a chrome grille. You have to pay extra for all that. But importantly, it does get a tow bar, standard across the auto range, which is a very good thing. 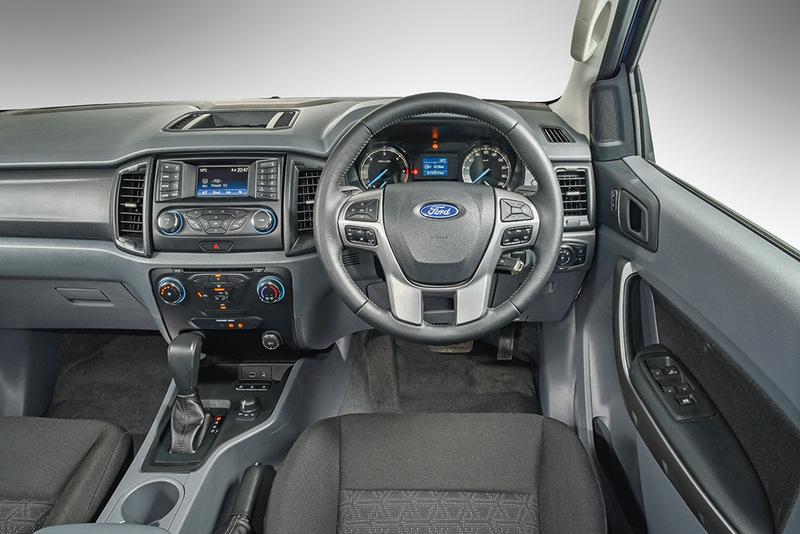 And, of course, Ford’s easy-to-use cockpit-based 4×4 system. So that’s that. Let’s get going. The plan was to head up the West Coast towards the Richtersveld, that ultimate proving ground for all things 4×4. From there, inland along the Orange River to visit a bunch of nuns at Pella, take a little rafting break, then make our way back through Namaqualand. The West Coast blast up the recently finished N7 showed up three things – one, that Ford has a real winner in this combo of a smaller diesel engine and an efficient automatic ’box; two, that cruise control is an absolute must on the open road (we missed it in our XL-spec car); and three, that we live in an astonishingly beautiful country. By the time Steinkopf and the turn-off to Port Nolloth appeared, we were well impressed, both by the ease of the Ranger’s general operation and the sophistication of its road manners. It has leaf springs at the back, but the weighting is ideal, more so than the Hilux’s and even the much-admired Isuzu KB’s rear set-up. It doesn’t bounce over rutted surfaces, even when only lightly loaded, and when called on to corner at speed, shows no visible sign of distress. The front McPherson set-up is excellent too, boasting class-leading absorption that doesn’t detract from its dynamic abilities. Steering, too, is direct and well weighted, although not as sorted as in the Hilux. The 2.2-litre turbodiesel acquitted itself better than well, cruising very happily at the legal limit without flagging on gradients. Called upon to overtake yet another Northern Cape ore lorry, the new auto shifted down willingly, revved eagerly and, whether at high speed or low, kept its composure. The XL has less insulation than the XLS and XLT, so it’s noisier at speed, but it’s never truly annoying. The flooring, we believe, is also a good balance between hardy and comfortable – vinyl rather than carpet, with mats available. The Richtersveld, as it always is, was a mind-altering experience, so otherworldly that it feels as if the apocalypse has been and gone, leaving but a few stragglers to themselves in the wildest wilderness on Earth. The wilderness camp at Tatasberg was home once again, with ridiculously beautiful views out over the Orange River towards Namibia. Getting there is a job of patience and commitment, the deep sand, steep passes and rock beds a challenge to pretty much anything this side of a Unimog. 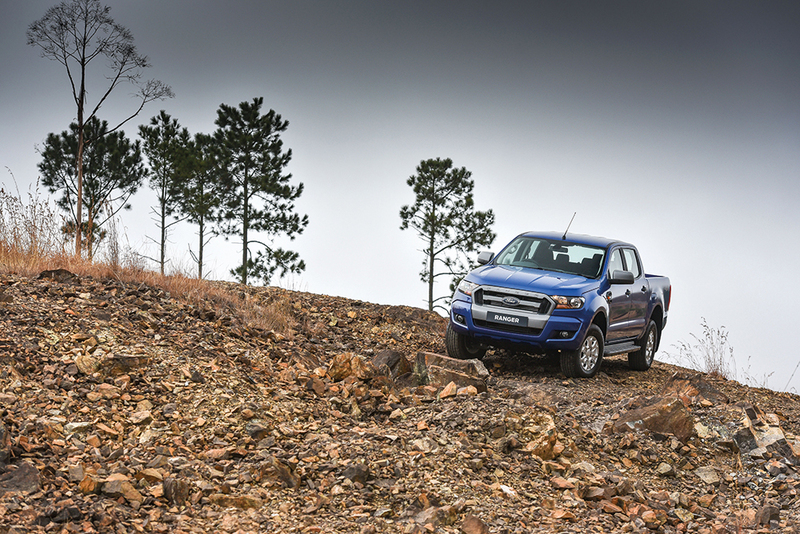 The Ranger’s automatic set-up made total sense, allowing us to concentrate on drop-offs and obstacles, rather than which gear we were in and whether we had enough revs. The change-on-the-fly 4×4 system was a big boon too, with its rear diff lock necessary more than once. Leaving the idyllic Martian landscape was a shock, the traffic on the N14 quite unwelcome, but Pella proved a respite. The French-built cathedral in the middle of nowhere still has an order of St Francis de Sales nuns stationed there, and it must be a difficult life. Mostly, they sell dates as much as salvation, the passing Orange River rafters less intent on eternal peace than floating thrills. We parked the Ranger and joined them for a day – the water babies, not the nuns – canoeing downriver with Felix Unite to Goodhouse before shuttling back to the awaiting Ford. We won’t lie – the double-cab’s air-con was an absolute lifesaver; Namaqualand is no place to be in summer. Heading south again through the arid Martian landscapes of Pofadder, Kliprand and Loeriesfontein, it occurred to us that out here is where it makes the most sense to buy yourself a real bakkie and not skimp on quality or ability. We were glad of the 4×4 functionality, glad of the thousands of hours of local hot-weather testing, glad of the dealer backup, had we ever needed it. And that was our takeaway from the incredible journey – buy the car that suits your life. And if getting away – really away – makes up part of the plan, the efficient but tough XL 2.2 double-cab is a fantastic compromise; affordable enough to buy, decent in town in terms of fuel usage and, we can now report, quite simply the bomb out there in the middle of nowhere. Spot on, Ford – all respect.